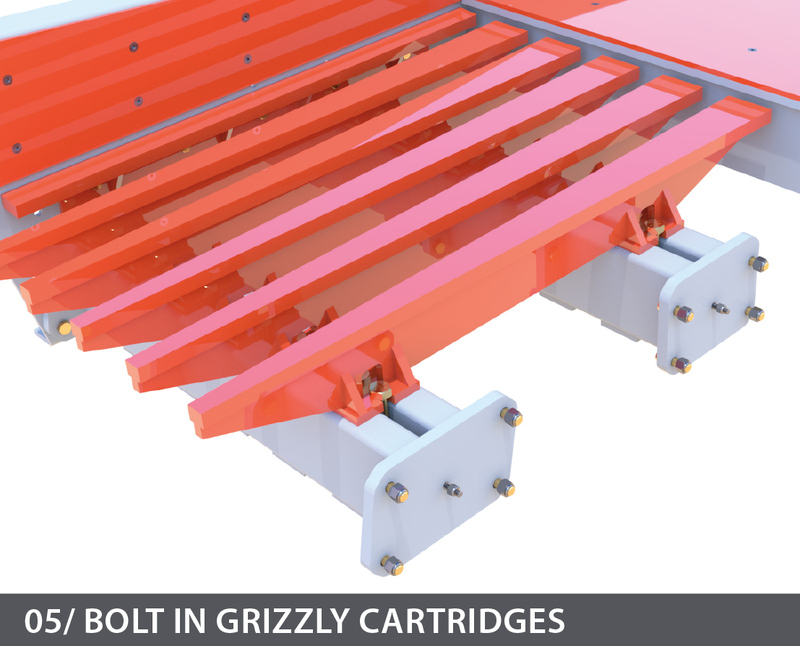 An exclusive Superior feature, the grizzly cartridges are designed to bolt into the feeder’s frame. 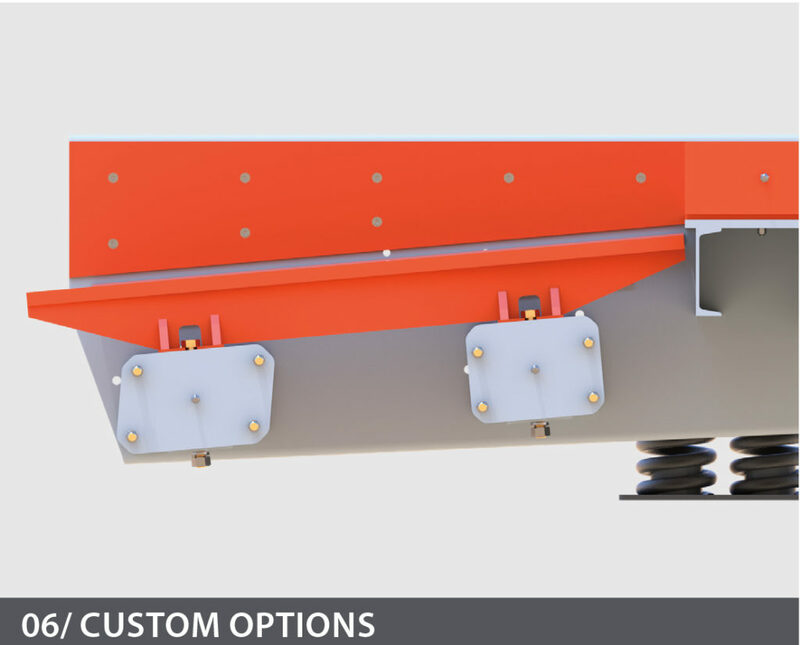 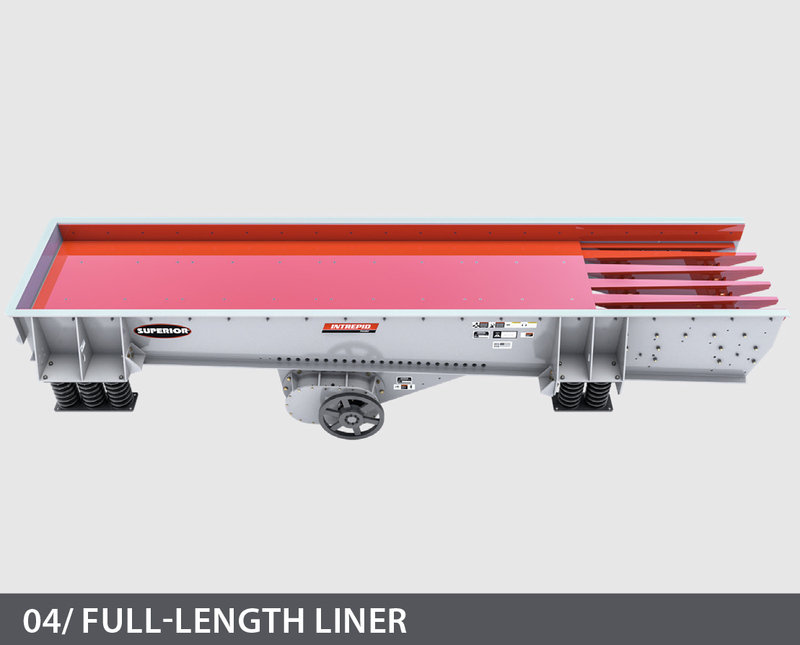 One set of bars are applicable for flat or 5 degree applications, so owners and operators can limit their stock to one style. 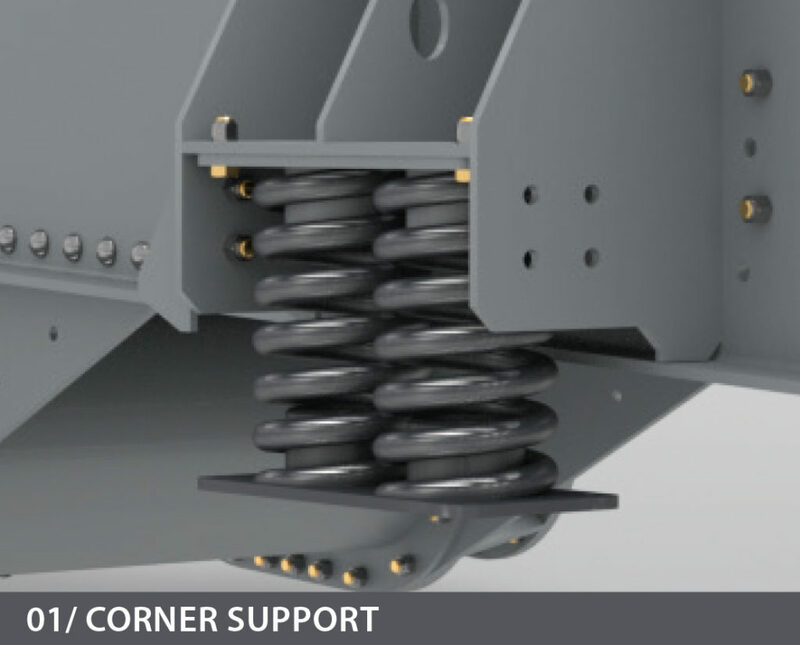 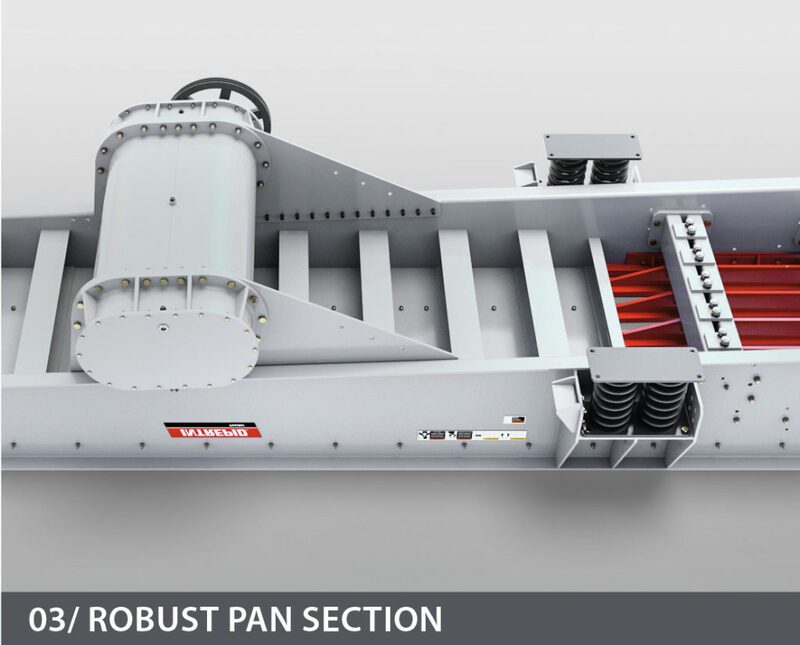 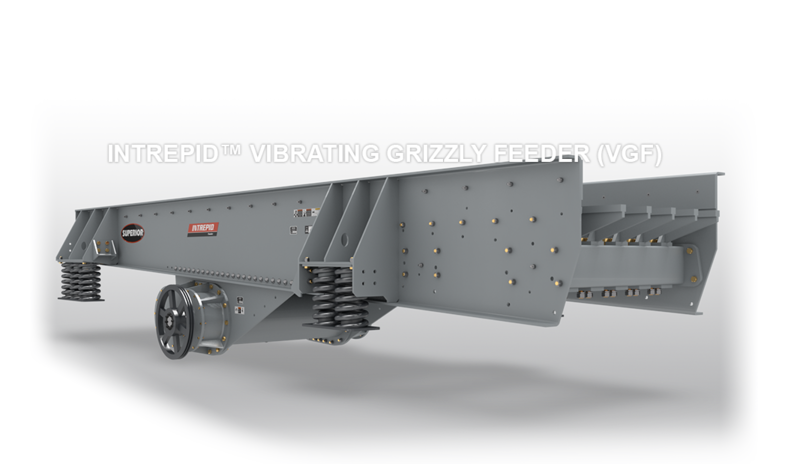 Another key feature is bottle jack lifting points incorporated into the spring section of the Intrepid® Vibrating Grizzly Feeder. 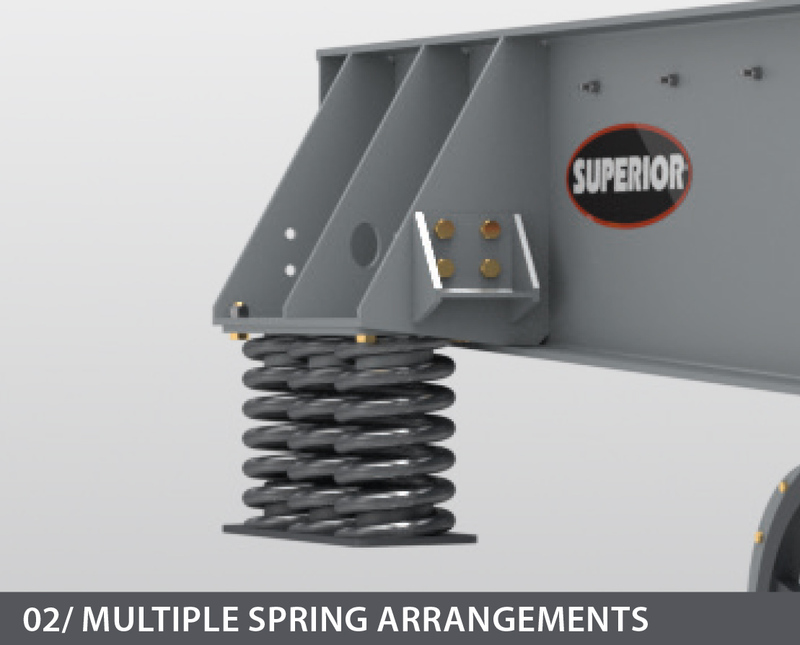 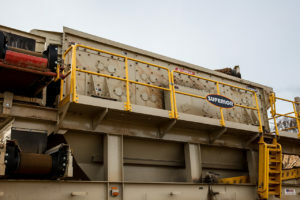 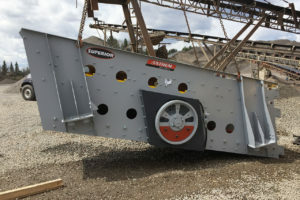 Eliminate the need to lift the pan with cranes or bucket loaders and simply use a bottle jack for spring replacement, which greatly increases safety during this common maintenance task.